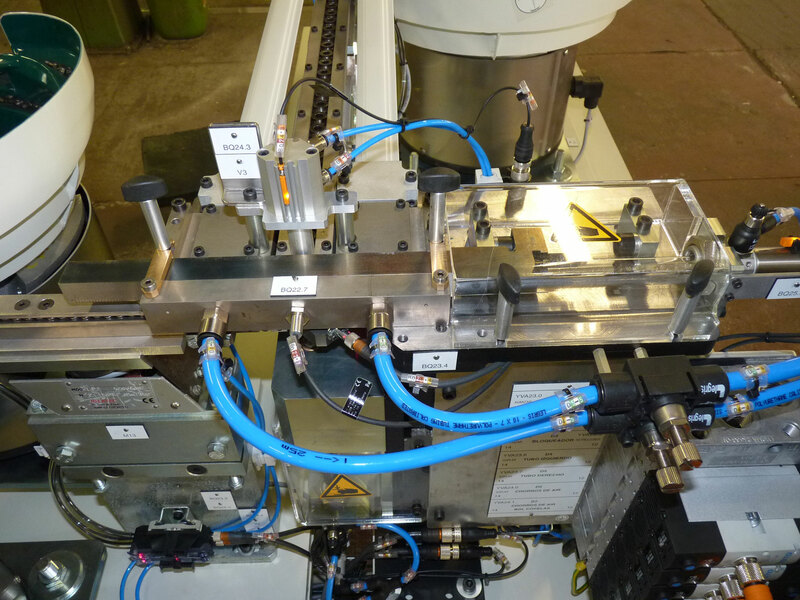 The aim of this project was to assemble and supply two components to the cylinder head station along a car engine assembly line. IDEATEC proposed a distribution and assembly station, the principle of which was to transport two half-cones to a mechanism in order to assemble them in the cup. 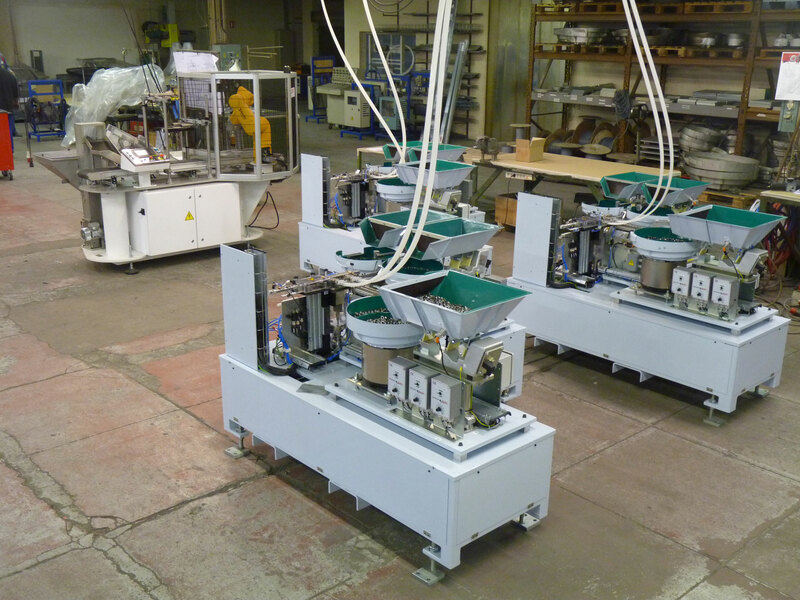 This system was composed of storage hoppers, vibrating bowls and rails and a matching mechanism. 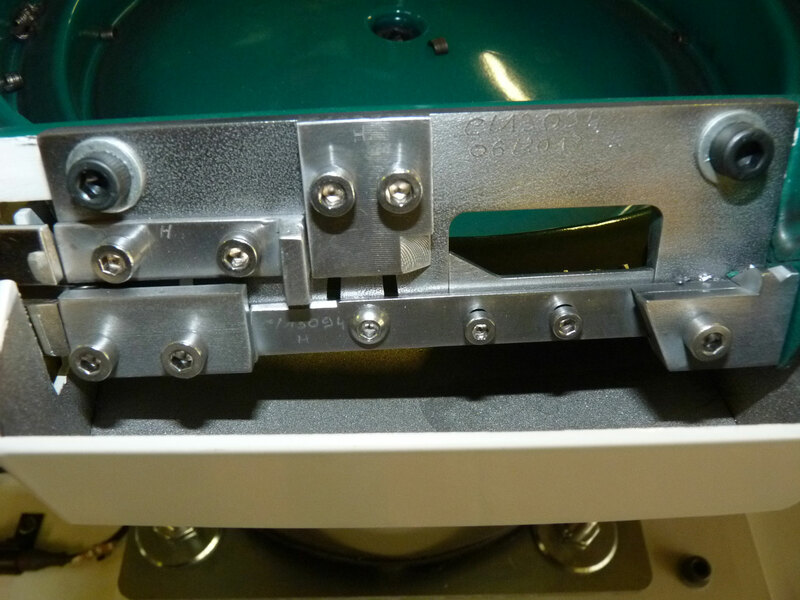 After assembly, the components were blown to the cylinder head assembly station. The purpose of this distribution was to be able to place it next to the line.